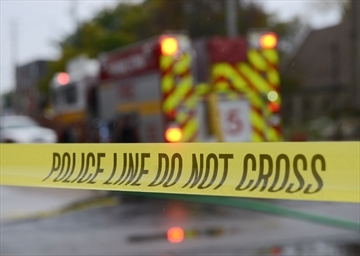 A man who fell down an embankment at Tew’s Falls is “pretty lucky” to have escaped serious injury, says Hamilton fire spokesperson Dave Christopher. The man slid down about 40 feet before catching a tree branch and stopping himself from falling further, Christopher said. 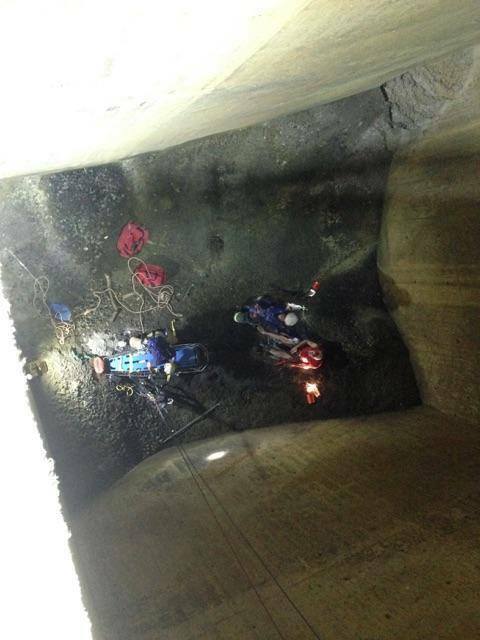 The “labour intensive” rescue included very carefully bringing the man up in a basket, he said. From there he was taken to hospital by Hamilton EMS with what appeared to be a minor ankle injury. The rescue took about an hour and half. 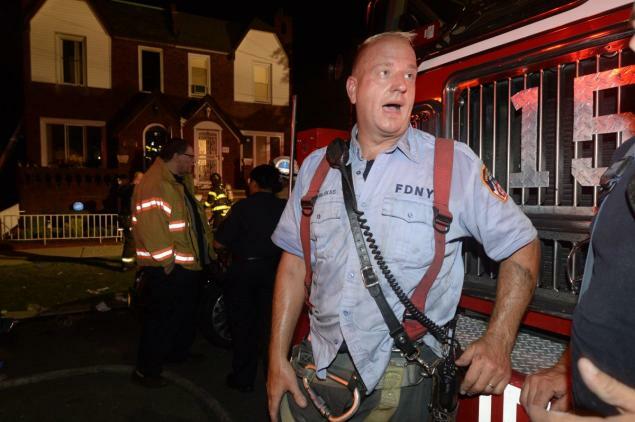 Emergency services cleared the scene around 2 p.m.
A fearless firefighter raced inside a burning Brooklyn building Monday and saved a 2-year-old boy from the furious flames. Lt. Victor Milukas said there was “zero visibility” and “high heat” and that he only had a general idea where little Justin Pierre might be as he searched the second floor of a Marine Park house. “I just kind of took a chance and figured, ‘I’m gonna have to check this room,’” he said. 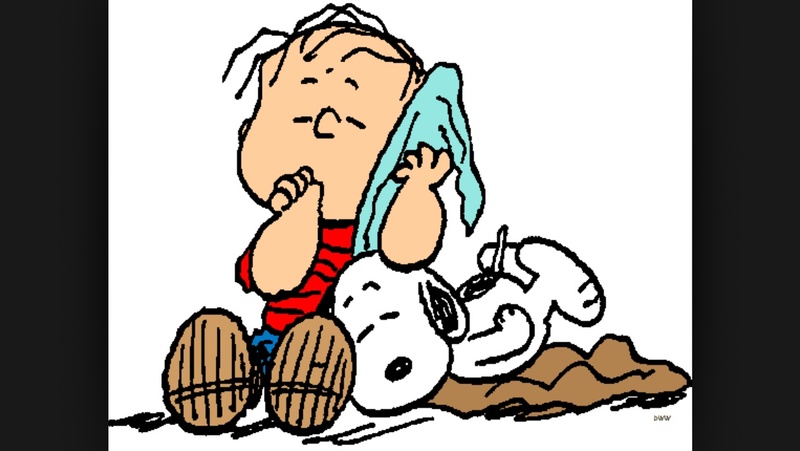 Milukas’ hunch proved right and he found the unconscious toddler by feeling around beneath a pile of clothing. Justin was at Staten Island University and in a medically induced coma, but his dad says he expects his boy will pull through. Justin’s relieved dad said he was told the fire started in his son’s bedroom and was sparked by an electrical malfunction. The drama on Avenue P began a little after 1 a.m. Monday. 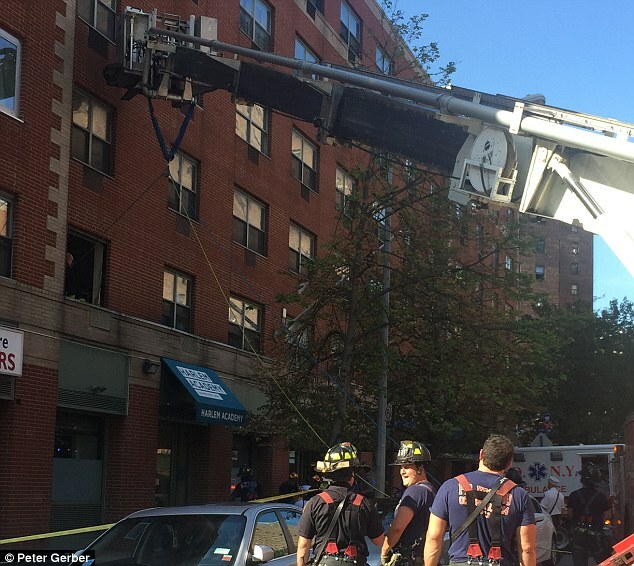 Pierre, a married father of four, said he was at work at Maimonides Medical Center and that his oldest daughter first smelled the smoke and sounded the alarm. He said in their rush to escape the building, Justin got overlooked. “When my wife went back to get him the first time, the fire completely engulfed the place,” Pierre said. Milukas said they got the call at 1:13 a.m. and encountered a “very chaotic scene” and a house engulfed by smoke when they arrived. 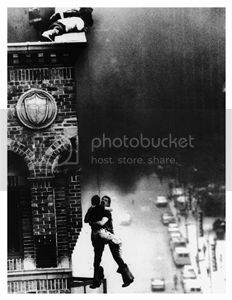 Milukas said they donned their masks and headed into building and the inferno. Quickly, Milukas retraced his steps to the spot in the hallway where he felt the high heat. He burst inside a bedroom and found a mattress ablaze. Milukas said he swept his hand across the mattress to see if the toddler was on it. “It was in flames,” he said. Milukas said he quickly brought the child outside to another firefighter to immediately begin CPR. 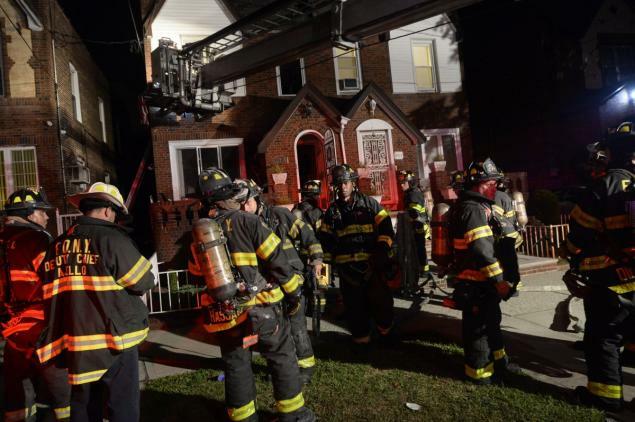 Milukas, an 18-year veteran of the fire department who lives in East Rockaway, is no stranger to heroics. Back in 2007, when Milukas was assigned to Ladder 142 in Queens, he saved a 45-year-old man from a burning building in Richmond Hill. KINGSTON — A double block home in Dorrance Street was the site of a major fire on Tuesday night, with several people being removed from the home by firefighters. Emergency crews were dispatched to West Dorrance Street between Wyoming Avenue and Schuyler Avenue at about 10:10 p.m. for a reported structure fire, according to a Luzerne County 911 supervisor. The fire involved a home at 42 W. Dorrance St., officials learned upon arrival. The double block appeared to be a total loss with the entire face of the house blackened. As crews fought the fire, flames re-erupted but were quickly extinguished. Neighbors said firefighters helped remove some residents from the burning building. Fire and emergency personnel from Courtdale, Kingston, Trucksville, Swoyersville, Forty Fort and Edwardsville filled the street. Many of the onlookers expressed concern about the availability of water, due to the earlier water main break, but that did not seem to be a problem. 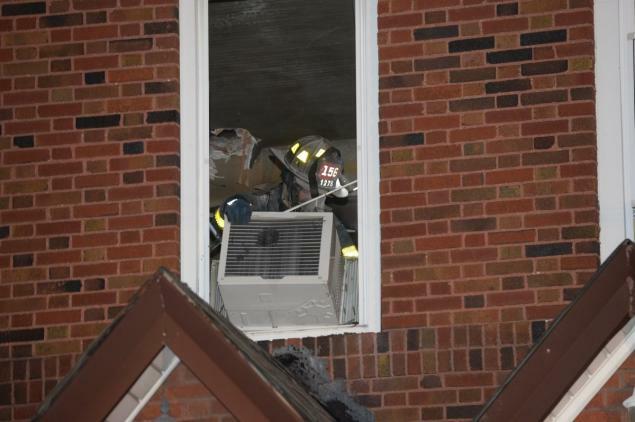 Fire officials were not immediately available to provide additional information. Two trapped workers were not injured after they were rescued Tuesday morning at the Napa Sanitation District plant south of Napa. 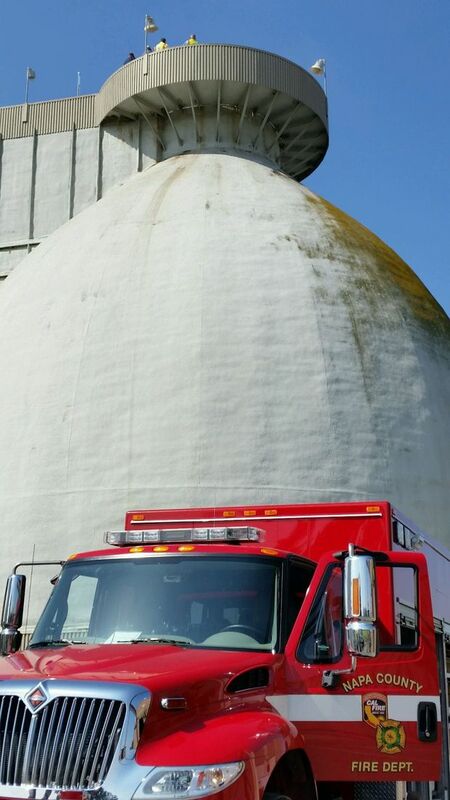 The individuals, who worked for a contractor, had been lowered through a 30-inch-diameter hatch into a 1.3 million-gallon digester for a routine inspection, the district said. Once they were inside, a mechanical system failed, making them unable to lower or raise themselves. Eight truck crews and 30 fire personnel from Napa, American Canyon and Carneros responded to the call at 9:35 a.m to the 1515 Soscol Ferry Road incident. 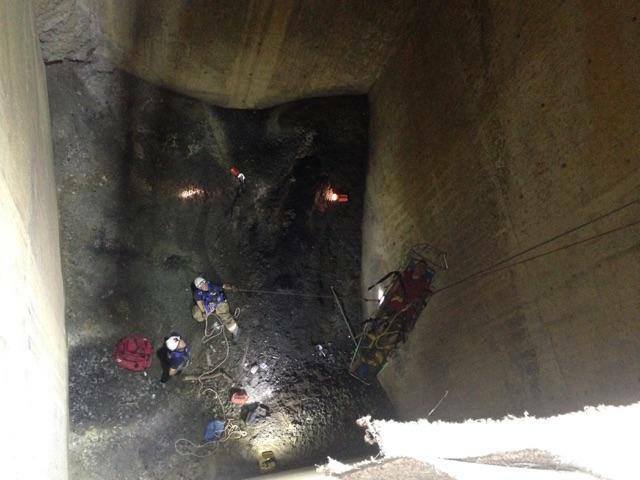 Five firefighters used a high-angle rope system to rescue the two trapped workers, Cal Fire said. 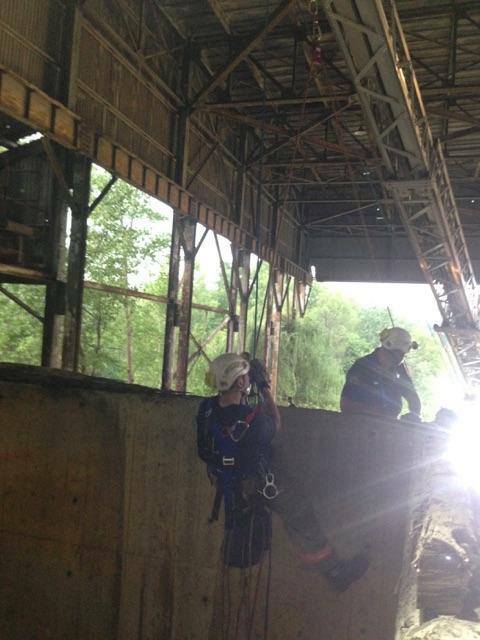 There was no immediate threat to the safety of the workers, so area fire departments used the incident as an opportunity for training for confined space entry rescue, the district said. 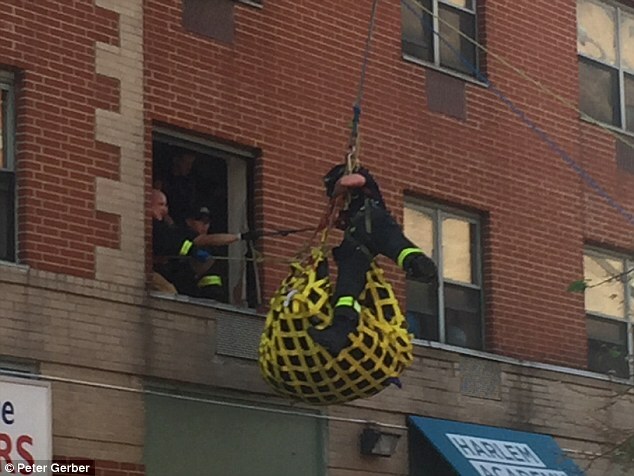 An obese woman in need of medical attention was rescued from her second-story apartment in East Harlem by New York City firefighters who had a net that could hold her nearly 800lb body. City paramedics arrived at the woman’s apartment on 111th Street around 1.15pm and quickly realized that she was too large to fit through the front door of the dwelling. The emergency workers were able to treat the woman but they called in the firefighters so she could be removed from the apartment and taken to St Luke’s Hospital. We rarely post articles on this site. This site is about Firefighters Saving Lives. But I feel this deserves reading and has a direct reflection on our ability to Save Lives. This part 1 of a three part series is just how I feel about our past and possible future. The Fire Service is a Blue Collar Job and we need more Fore Service Leaders looking to get DIRTY and once again, get Back To a The Basic of structural firefighting. Please Read. 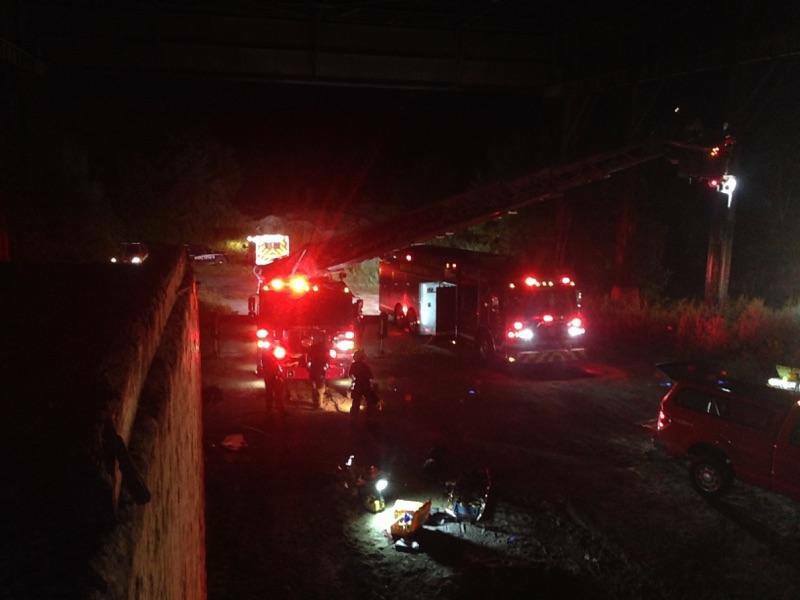 SYRACUSE, N.Y. — A 19-year-old Onondaga County man lost his balance while looking over a ledge at the Jamesville Quarry Sunday and fell more than 45 feet into a bin, Jamesville Volunteer Fire Chief Bill Johnson said. 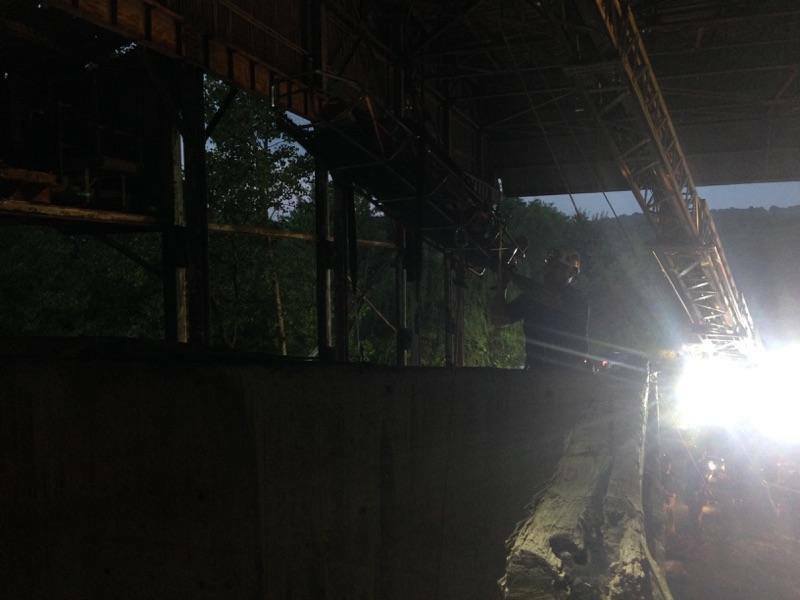 The Delphi teen was exploring the old Alpha Portland cement plant, an abandoned hazardous waste site off Rock Cut Road near Jamesville Road, with friends around 4 a.m. Sunday when he fell, Johnson said. “They were just looking around in there,” the chief said. A friend told firefighters the teen was looking over the ledge to see how deep it was when he lost his balance and fell in, Johnson said. 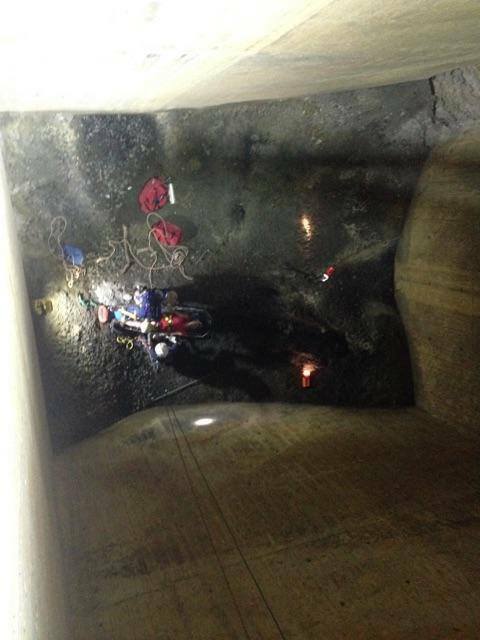 Rescuers estimated the teen fell 45 feet to 48 feet down a “wide-open hole,” into the storage bin. The teen, whose name was not available, suffered a broken ankle and called 911 for help, the chief said. Jamesville and DeWitt firefighters were able to get down to the teen, but they needed the Syracuse Fire Department to help get him out, Johnson said. During the technical rescue, Syracuse firefighters used a pulley system to pull the teen out with a stokes basket, Johnson said. 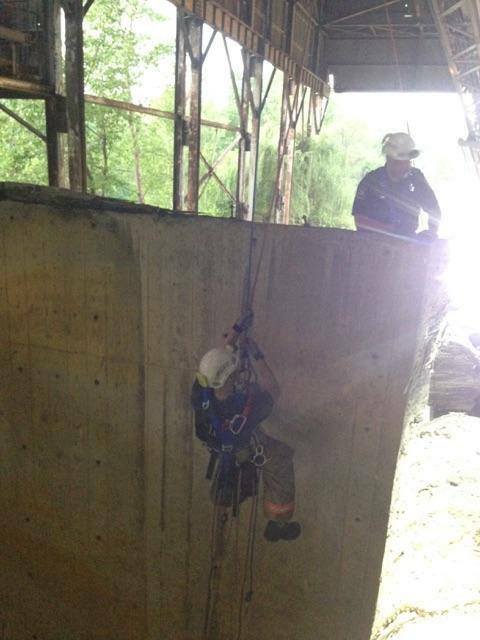 The rescue lasted 1 hour and 15 minutes, the chief said. Onondaga County sheriff’s deputies and DeWitt police, and Onondaga County Emergency Management also responded. Jamesville’s fire chief warned others of the possible dangers in the quarry, including overgrown grass covering holes. “If you don’t know the property, you can get seriously hurt up there,” Johnson said. A Milwaukee-area woman was transported on the Eagle III rescue helicopter to a hospital in Green Bay after injuring herself at Newport State Park Wednesday. The call of an injured 52-year-old woman with a possible fractured leg came in around 12:30 p.m., said Sister Bay-Liberty Grove Fire Chief Chris Hecht. Assisting with the call were Door County EMS, Gibraltar and Ephraim fire departments, and the Door County Sheriff’s Department. 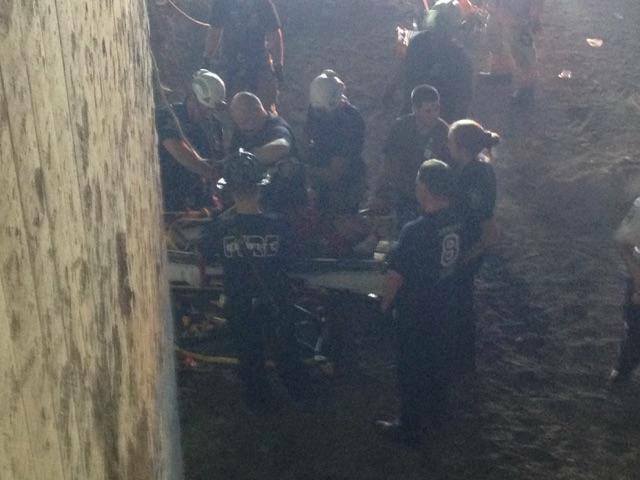 “She just suffered a simple slip and fall while hiking along the edge of the water,” Hecht said. Due to the location the Gibraltar Fire Department brought in its shallow water boat, and Ephraim Fire Department and the Sheriff’s Department established a landing zone for Eagle III at the Sister Bay-Liberty Grove’s Ellison Bay station, he said. The woman was stable when she was loaded into the helicopter and taken to Aurora BayCare Medical Center in Green Bay. 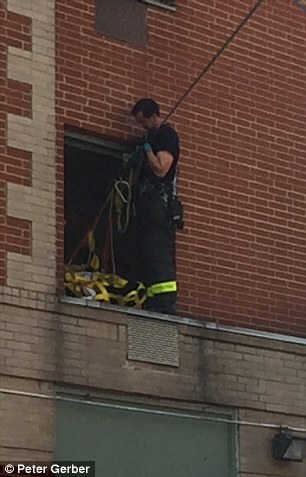 “The patient family was instrumental in the responding units quickly locating the patient,” Hecht said. The woman had enough family with her that they spread out along the trail and were able to direct rescuers to her location. “There was no guessing” where she might be, he said. A lot of the time there are not enough people, the forethought or the level of cooperation to set something like that up, Hecht said. The woman is expected to be recover, he said. 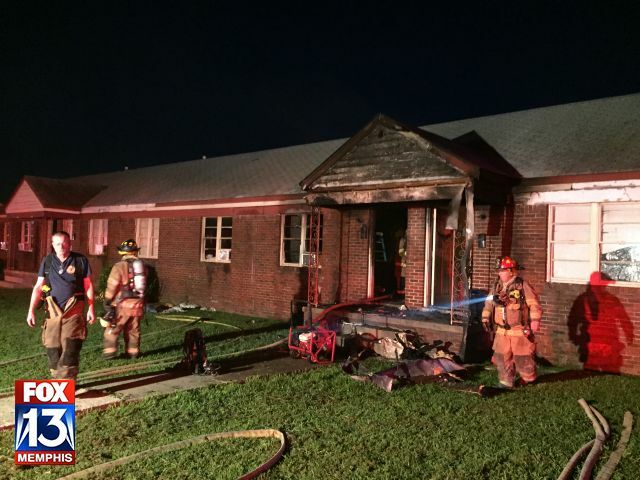 Two infants and a 10-year-old were rescued from an apartment fire Friday morning in West Memphis. 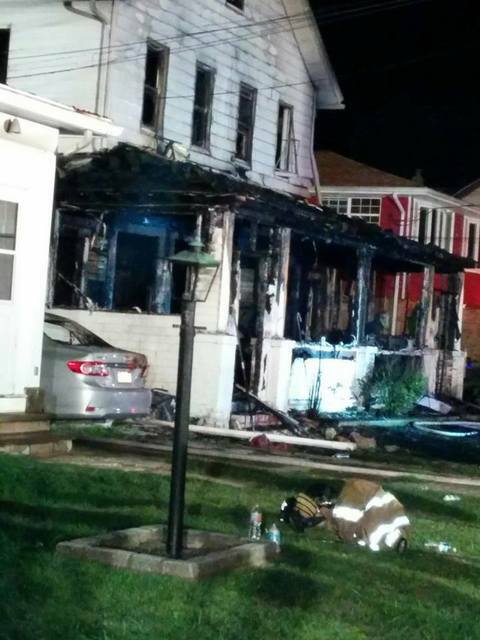 Investigators say the flames erupted just after 5:06 a.m. in the 100 block of Stuart Ave. It was a wakeup call neighbors never expected. “When I came to the door, I saw that my neighbor’s house was on fire and the flames was coming out the door,” neighbor Stacey Tuggle said. The morning chaos is something she will never forget. “She was yelling ‘can somebody help me, can anybody help me,’ and I got my phone and called 911,” Tuggle said. A mother and her three kids, ages two-months, 14-months and 10-year-old, were trapped inside until emergency crews got to the scene. “When they brought the 10-year-old out, she was unresponsive and they had to give her CPR,” Tuggle said. Donald Anderson is the girls’ grandfather. He said the 10-year-old suffered second degree burns and was flow to a children’s hospital. Anderson spoke with daughter just minutes after the fire was put out. Anderson said his daughter and grandchildren moved into the home just last week. “I got my prayers for everything that’s going on right now, because they just lost everything in their house,” Anderson said. The cause of the fire has not been determined at this point. The family claims they notified management about possible electrical issues.